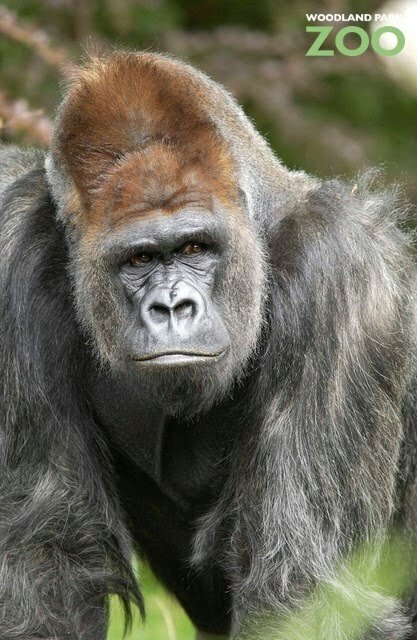 For as long as many of you may remember, Pete the male silverback gorilla, has headed up our Gorilla Group 1. 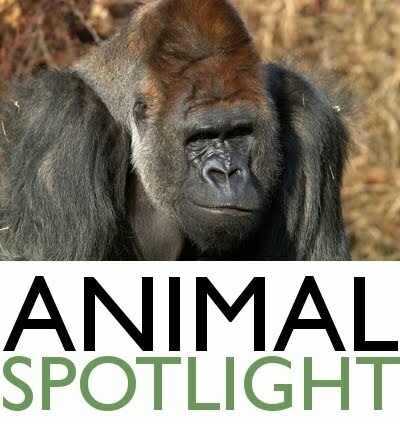 This year Pete turned 43 and is the oldest male gorilla at Woodland Park Zoo. Despite having some of the typical complaints of old age, including arthritis and yes, even developing a bald spot (I know hair loss for a male can be embarrassing), Pete is in relatively good health considering his age. The average life span for gorillas in captivity is late 30s to early 40s with females living longer than males. In the wild, it is roughly 30-35 years. The longest living captive gorilla on record was 55 (a female). Although Pete is well into his golden years, he is still going strong. 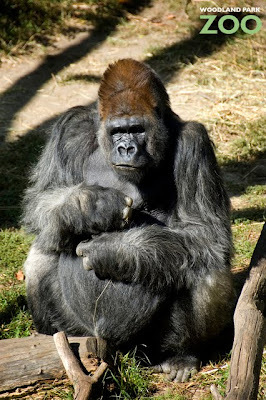 He has always been, and continues to be, the gentleman gorilla and always says “Thank you, tastes good!” by way of his grunts of contentment while he eats. When Pete first came to Woodland Park Zoo more than 40 years ago, his name was Pierrot, but we simplified that to Pete, or sometimes “Peter, Peter Pumpkin Eater” since he gets pumpkin every evening with his dinner for a little extra fiber. Pete has been through many changes here at WPZ. He started off in 1969 in the old nursery alongside other gorillas (including Nina) and orangutans including Towan and Chinta (our resident twins) that currently live in the Trail of Vines exhibit. He then lived in the Great Ape House, and in 1979 he moved to the first-ever naturalistic gorilla exhibit, where he now resides. Pete has been the bedrock of our gorilla program. With his fondness for the females and his fruitfulness, we have Pete to thank for starting our successful Gorilla Species Survival Plan (SSP). 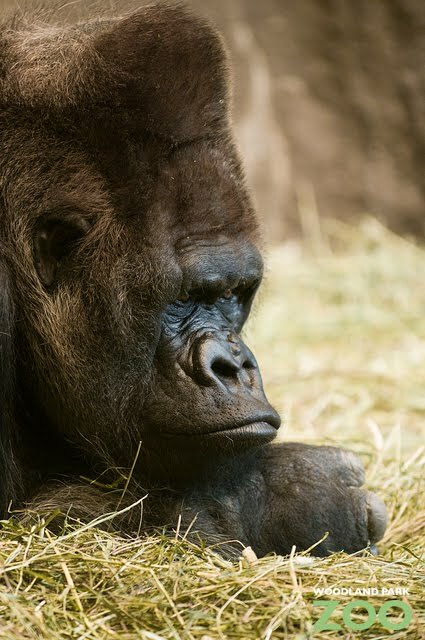 His breeding success, combined with coordination with the Gorilla SSP through the Association of Zoos & Aquariums, has led to the creation of the dynamic, stable social groups that we have today at WPZ. Pete has always been tolerant of all the antics of the younger gorillas and has had close relationships with many of his females and their offspring. As he has gotten older, the females sometimes take advantage of him and even steal his food! But he always takes everything in stride…as any good grandfather would. Photos (from top): Dennis Conner/Woodland Park Zoo, Ryan Hawk/Woodland Park Zoo, Ryan Hawk/Woodland Park Zoo, Dennis Conner/Woodland Park Zoo. Carolyn!!!! you rule so hard!!! !